The real problem for an individual who secures a new position, working for a competitor, for instance, is what will happen in terms of the next steps his former employer will take. In order to minimize the risk of litigation against the employee it is best to disclose the previous non-competition agreement to the potential employer and to seek assurances of indemnification. With the promise of protection if the “old” employer takes legal action the employee has relatively low levels of risk. Employers and organizations are getting quite astute when negotiating employment agreements. You often will see reference to previous non-competition agreements now within the terms of an employment agreement. This works as an assurance for the new employer there are no restrictions that might prevent them from working for the new organization. On the flipside of the coin, employees want to make sure they have disclosed any restrictions they may have when leaving an organization. Indemnification against potential legal action may be negotiable especially where the employee has rare or unique skills that the organization needs. 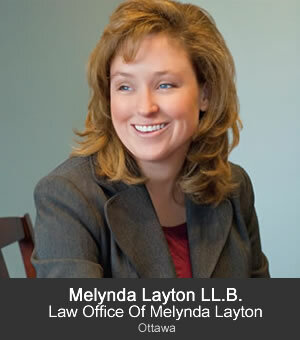 If you, or someone you care about, is dealing with mployment law issues in the Ottawa, Ontario Region, contact Law Office of elynda Layton. This article is taken from an interview with Melynda Layton, Employment Lawyer at Law Office of Melynda Layton , an Ottawa, Ontario Employment Law Firm. Note that laws vary from province to province. Please consult with a lawyer in your own area to be sure of the laws and specific issues in your own jurisdiction.